Some teachers in Waterloo now feel the need to wear Kevlar vests to protect themselves due to the growing trend of violence in classrooms in the Waterloo Region District School Board. 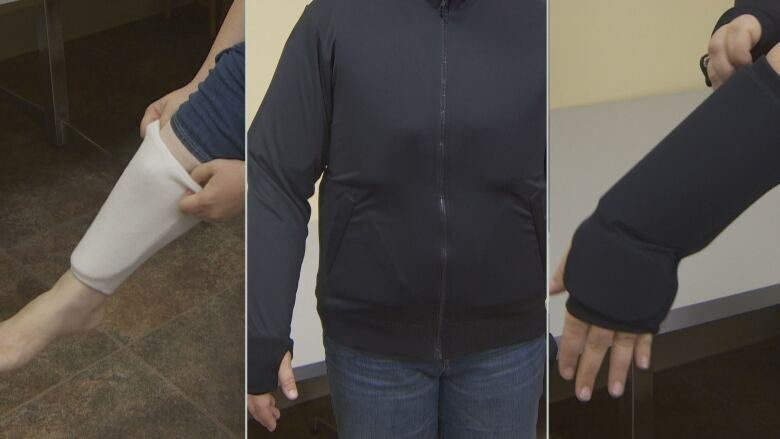 Some teachers in Waterloo region now feel the need to wear Kevlar clothing to protect themselves due to the growing trend of violence in classrooms. "We're (dealing with) everything to biting to kicking and punching," said Jeff Pelich, the vice president of the local chapter of the Elementary Teachers' Federation of Ontario. "Between our teachers and educational assistants, and child and youth workers, many of them are now required to wear Kevlar, to wear full vests to protect themselves from punches and kicks." Last school year there were approximately 1,300 incidents involving elementary student-on-teacher violence in the Waterloo Region District School Board, up from around 900 the previous year. The numbers were part of a report discussed at the school board's Committee of the Whole meeting Monday night. Kevlar clothing can include, vests, arm or leg sleeves. Teachers in Durham region and New Brunswick have also resorted to wearing the protective gear. Pelich said the protective equipment is usually worn by teachers who work in congregated classroom settings with eight to 12 students who have a variety of special needs. He said there are no exact numbers of the amount of vests being worn, but said with confidence the requests are escalating, particularly with educational assistants who work with students on a one-on-one basis "to make sure they aren't getting hurt." Mike Ramsay, a trustee and former chair of the WRDSB, said at the meeting the numbers in the report are "a wake-up call" to trustees. Some students, when they recognize their teacher is wearing Kevlar, will look for holes or gaps in the equipment when biting or kicking, said Pelich. The classroom violence not only affects the teachers, but the students too — who unlike their teachers do not get to wear protective equipment. "We deal with a lot of evacuations, where the child is frustrated to the point they are just throwing things, trashing the classroom so we will remove the rest of the students to make sure nobody gets caught in the cross fire," Pelich said. According to the report, around two per cent of the incidents resulted in one or more people needing medical attention, and one per cent led to a leave of absence. No injuries were reported in 75 per cent of the incidents. Although the incidents are not limited to students in special education, Pelich pinned the growing number of outbursts on a lack of resources and funding, noting some schools only have two or three educational assistants to support students with special needs or who may lash out in class. He said the union wants to government to step up and provide additional funding in situations when safety is involved because "safety needs trump everything else." The ETFO is calling for a review of the Ontario government's funding formula that allocates less money to elementary school students than their secondary counterparts. Elementary students receive $612 less per student, which Pelich said could equate to nearly $25 million in the WRDSB and WDCSB. "The needs are the same (at both levels)," said Pelich. "A child is a child and we want the government to close that gap." At the committee meeting Monday, school board trustee Natalie Waddell put forth a motion to write to Ontario's Ministry of Education and the Ontario Public School Boards' Association to call for more funding to address workplace violence and aggression in the classroom. Wadell said she put forth the motion "out of concern for not only the staff that are exposed to that but students as well." She said often poor or violent behaviour is in response to something else happening with the child. "On a personal level, I have a child with ADHD so I truly do understand that behaviour is more of a symptom in some children, especially in children with cognitive impairments," she said.